Moderate cleric Hassan Rouhani has won Iran's presidential election with just over 50 percent of votes, state TV reported. 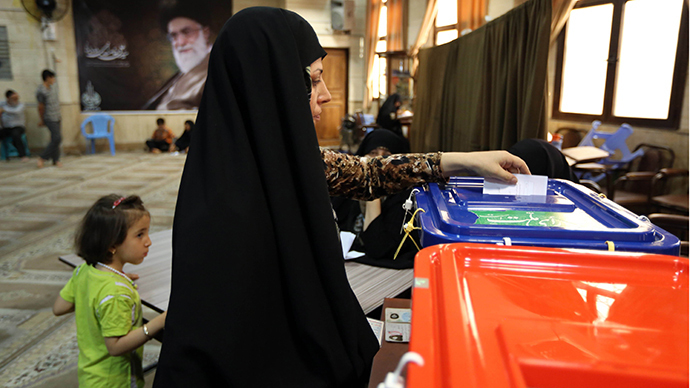 72 percent of the 50 million Iranians turned out to vote, said Interior Minister Mostafa Mohammad-Najjar. "Mr Hassan Rouhani ... got the absolute majority of votes and was elected as president," Najjar said. 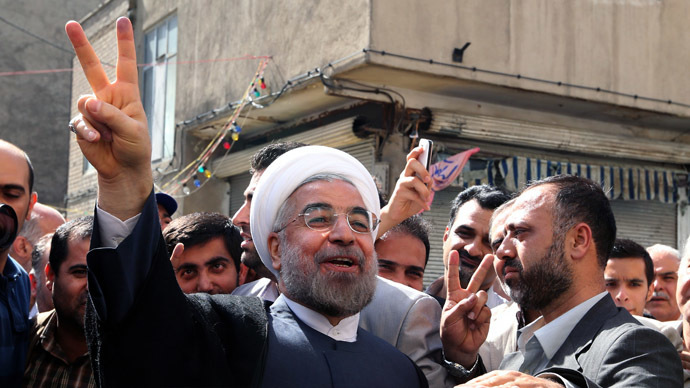 In the wake of the election results Rouhani hailed his election as a “…victory for wisdom, moderation and maturity... over extremism," he said in a statement according to local media, AFP reports. 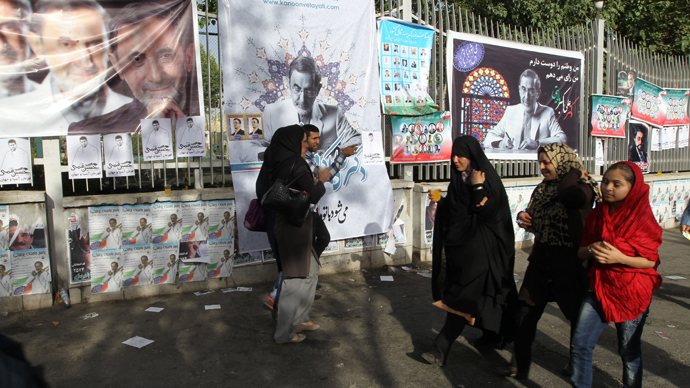 A few hours before the results were announced crowds began to gather near Rouhani's headquarters in Tehran. The supporters chanted slogans like "Long live reform, long live Rouhani," according to a reporter at the scene. "Now you can think about the future of Iran's politics and the ways of solving the problems of its people," Khamenei addressed the newly elected president. Former Iranian President Ali Akbar Hashemi Rafsanjani, who was on the list of presidential candidates this year, but did not pass the selection of the Supervisory Board, said that the country has experienced the "most democratic election in the world." The turnout on Friday was significant, with Iranians coming out from Tehran, to desert polling stations, to nomads' pastures - where people would wait in line for hours in the blazing sun. In fact, voting had to be prolonged by five hours to accommodate the big numbers showing up. This is believed in Iran to be a result of boycotts planned by the liberals having been cancelled in favor of battling those on the other side of the political spectrum. The international community acknowledged the election of Rouhani as Iran's new president. The US respects the choice of the Iranian people and hopes the that new president and his government will make "responsible choices" for a better future, White House press secretary, Jay Carney, said in a statement. In the wake of the result announcement France issued a statement saying it is also "ready to work" with him. While Britain urged Rouhani to 'set Iran on a different course' calling for a ‘constructive relationship’ with the West.